Collection of 'Creative Salt and Pepper Grinders/Mills' from all over the world. 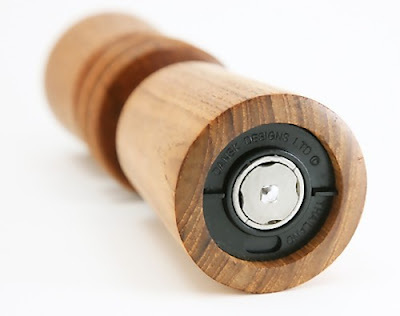 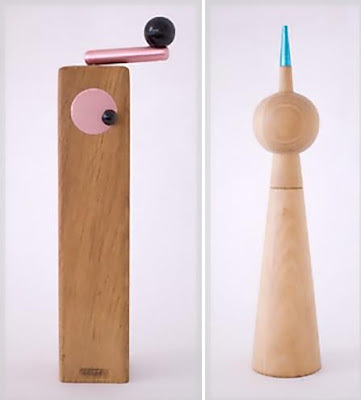 Wooden Puzzle Pepper Mill: This wooden peppermill may look ordinary enough at first glance, but it has 11 movable blocks that can be twisted 360 degrees. And to grind the pepper, simply turn the top block. Salt and Pepper Grinder Set: These peppermills set are hand turned on lathe, and is made from American black walnut and eastern maple. 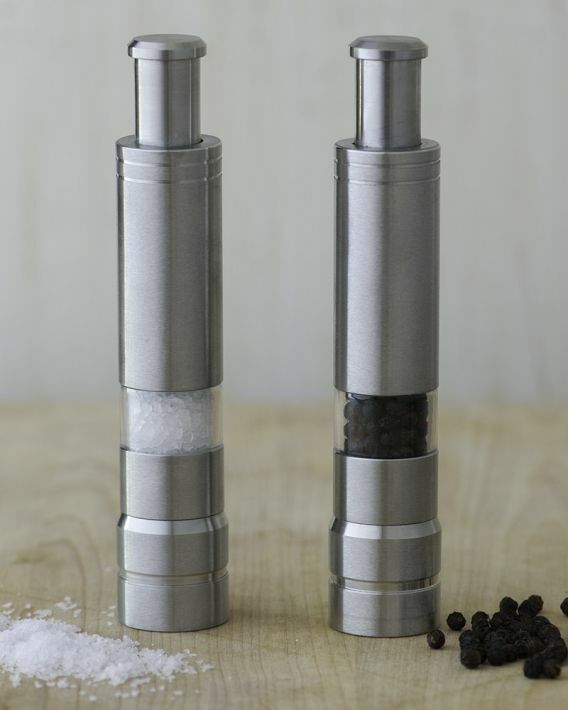 The mills feature adjustable ceramic grinders, best suited for both pepper and salt. 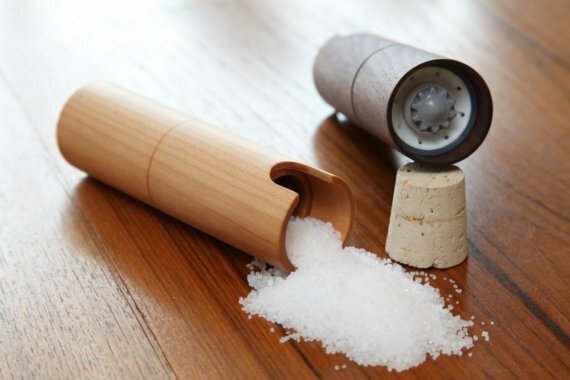 Pencil Salt and Pepper Mills: You may be surprised to find these rather large pencils sitting on a dining table, but these are in fact unique and creative pencil grinders. 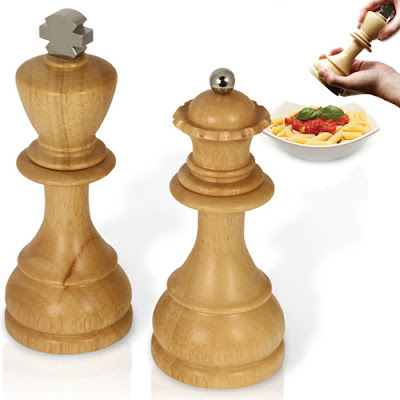 King and Queen Salt and Pepper Mills: These salt and pepper grinders are made from 100% natural rubber wood with ceramic grinding mechanisms. 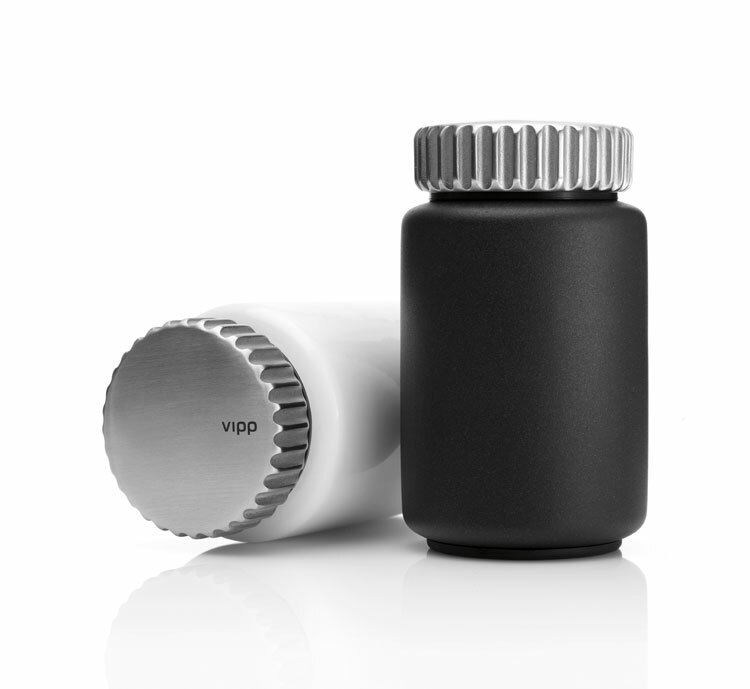 Vipp Salt and Pepper Mills: This salt and pepper mills comes with adjustable ceramic grinders and uniquely developed grinding sound. The base is constructed from painted aluminum while the swivel top is made from stainless steel. Hand-Painted Pepper Mill: Just fill this cool pepper mill with your favorite peppercorns and grind away. 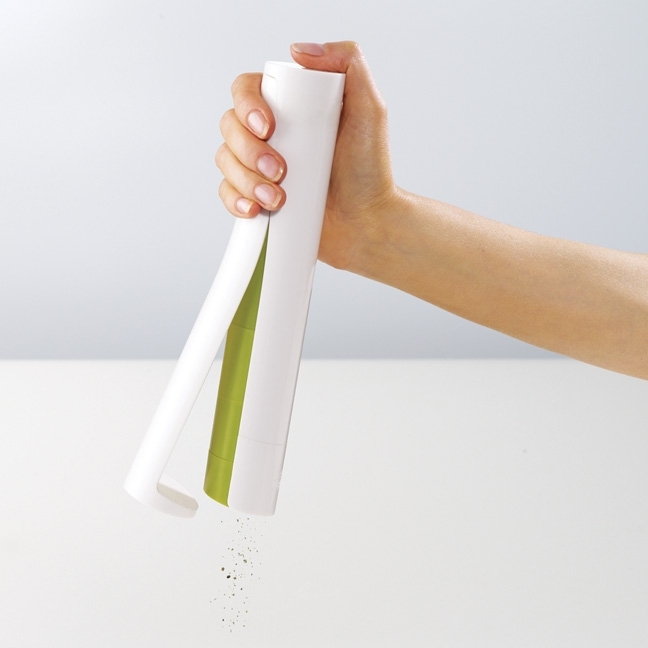 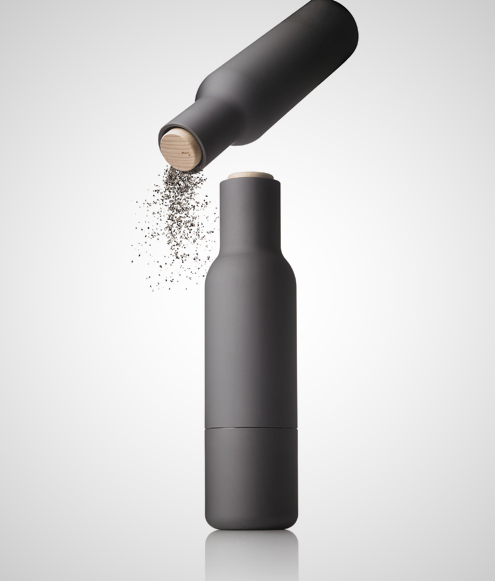 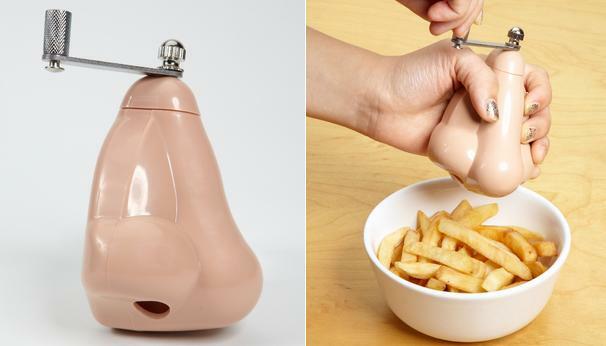 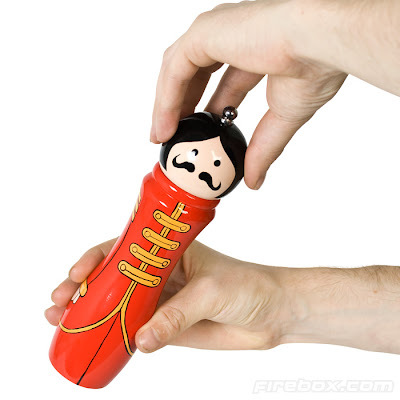 Nose-Shaped Pepper Mill: Grind your pepper with this hilarious pepper grinder. 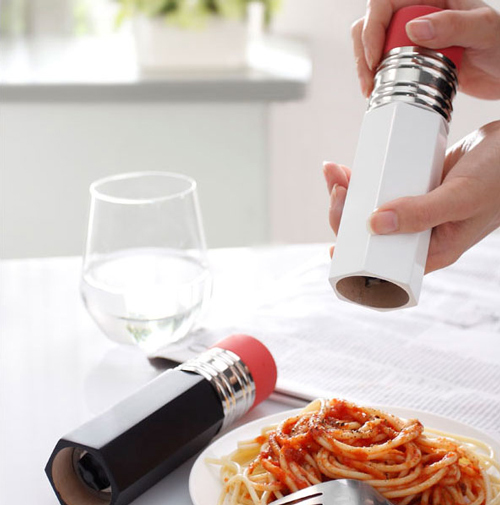 Don't miss to check out "Creative and Coolest Salt and Pepper Shakers - Part: 1| 2| 3| 4| 5| 6; Creative Pepper Grinders and Cool Pepper Mills - Part: 1| 2."